This symposium features a comprehensive educational program discussing the most up to date topics in general and medical dermatology, dermatologic surgery, pediatric dermatology, cosmetic dermatology, and dermatopathology. Internationally recognized faculty will provide both scientific and practical sessions in a collegial and casual atmosphere where questions and interactive discussion are encouraged and welcomed. 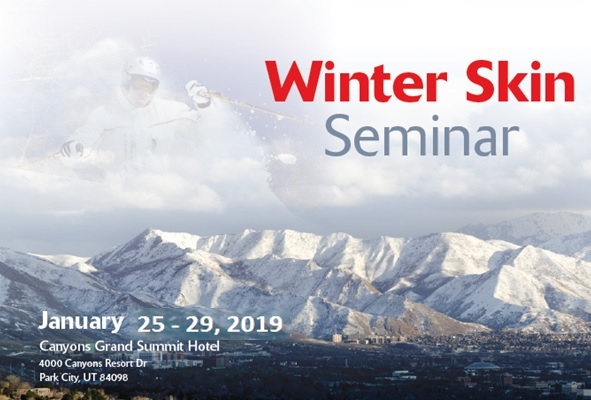 The 2019 Winter Skin Seminar will be held in Park City, Utah at The Canyons. 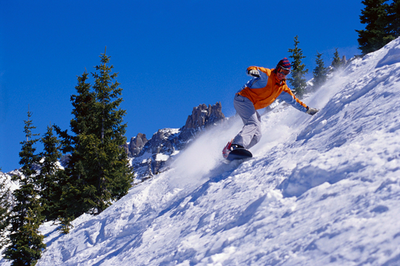 Participants can choose from room and suite lodging options that offer all the amenities expected at a premier ski and snowboard destination conveniently located 30 miles from Salt Lake City International Airport. 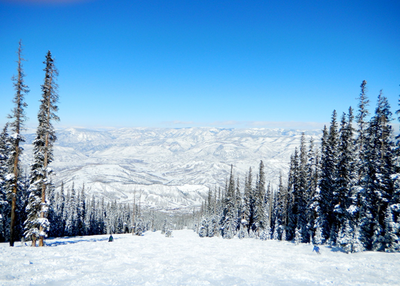 The Canyons Mountain and Park City Mountain allow you to use your lift ticket on both peaks, providing the largest ski/snowboard experience in North America. Park City, UT is just minutes away and the meeting coincides with the opening weekend of the Sundance Film Festival, a world-famous event showcasing the best in new film. Register for the 2019 Winter Skin Seminar by December 15, 2018 to save $100 off the regular registration fee of $795. Construct a differential diagnosis for common and uncommon dermatologic problems affecting children and adults. Design a plan for evaluating children and adults with cutaneous disease. Manage patients with dermatologic disease utilizing medical, surgical and procedural methods. Recognize and avoid complications from medical, cosmetic, and surgical treatments. Devise a treatment strategy for chronic urticaria utilizing standard and, when indicated, non-standard therapies. Choose the appropriate biopsy site for immunodermatologic testing and know when to utilize serial serologic tests. Identify the main public health biothreats with dermatological features. Create a comprehensive therapeutic ladder for acne treatment that includes hormonal therapies for female patients. Recognize the cutaneous and systemic manifestations of polycystic ovary syndrome. Order appropriate serologic testing in patients with cutaneous lupus erythematosus. Recognize common oral mucosal lesions encountered in a dermatologic practice. Identify resources helpful in the diagnosis of genetic diseases with skin manifestations. Recognize key dermoscopic features of melanoma. Provide your patients with an enhanced diagnostic approach. Familiarize yourself with recommended and new therapeutic protocols. Gain knowledge in regard to interpreting diagnostic tests for cutaneous diseases. Compare and contrast your current practices with leading dermatologists in the field. Practicing dermatologists, dermatology residents and fellows, primary care physicians with an interest in dermatology, and other healthcare professionals. Click on the Session Title to View the Course Presentation, then Click the Back Arrow to Return to This Page. The presentations are password protected. The password will be provided at the registration desk in the program welcome letter. Physician Credit - The University of Louisville Continuing Medical Education office designates this live activity for a maximum of 20.50 AMA PRA Category 1 Credits™. Physicians should claim only the credit commensurate with the extent of their participation in the activity. All individuals are encouraged to participate. To request disability arrangements, If you have any special needs, please contact the Winter Skin Seminar Administrative Coordinator Dana Seger at (502) 583-1749 ext 3174 at least 14 days prior to the date of this program. Continuing Medical Education and Professional Development fully complies with the legal requirements of the ADA and the rules and regulations thereof. *If you register as a guest please email Dana Seger and provide the name of the person for whom you will be attending as a guest. Note: A user profile with unique email address and password must be created for each person to be registered. Multiple registrations cannot be made on the same user profile. Requests for cancellation must be submitted to cmepd@louisville.edu on or before January 11, 2019. Requests received on or before January 11, 2019 will receive a full refund less a $50 processing fee. No refund will be given for requests received after January 11, 2019. Guest registration is available and provides your guest(s) with access to the meeting areas and all meals offered during the seminar. It is not required for the lift ticket or equipment rental discount. Please note that special group rates are valid 3 days pre-and post the meeting dates. 2 night deposit is due at booking, balance is due 30 days prior to arrival date. Any changes or cancellations to the booking must be made 30 days prior to arrival date. Late arrivals, early departures, downgrade to room types, and no-shows are non-refundable 30 days prior to the arrival date. Please note that check in time is at 4PM and check out time is at 11AM. 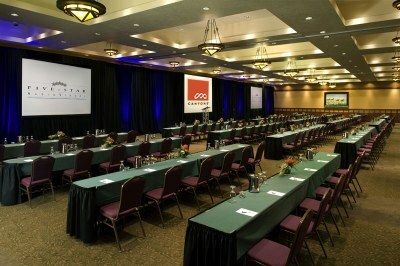 The meeting will take place in the Canyons Grand Summit with lectures in Kokopelli III. Exhibits with breakfast and Après ski will be located in Kokopelli II. Meeting registration will be in the Ballroom Lobby. Discounts on lift tickets and equipment rental will be offered to meeting attendees. Please refer to www.parkcitymountain.com for additional information. A variety of rental car companies are also available. Uber and Lyft rideshare services have a visible presence in the area. • You will now follow I-80 East for about 15 – 20 minutes and take Exit #145 Kimball Junction / Park City. • This exit is the main road that enters Park City and The Canyons. You will be on SR-224. 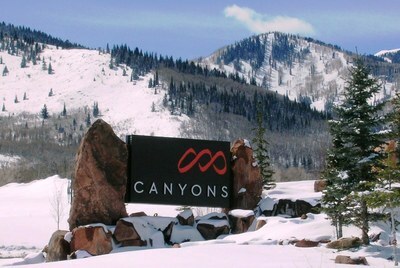 • Follow 224 for two miles from the exit and take a right at the stop light on to The Canyons Resort Drive. • Continue a short distance up to The Canyons. 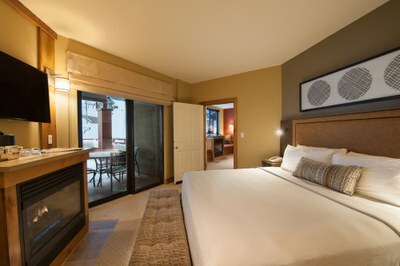 • Lodging guests: Follow The Canyons Resort Drive to your destination. We thank our participating companies for their support of the 2019 Winter Skin Seminar and a final listing of supporters and exhibitors will be available at the meeting.